Delivering happiness is part of the service. We look forward to meeting you: in a free, no-obligation initial consultation meeting we discuss what you want– either over the phone or in person in Ibiza– and advise you on the multitude of options Ibiza has to offer. 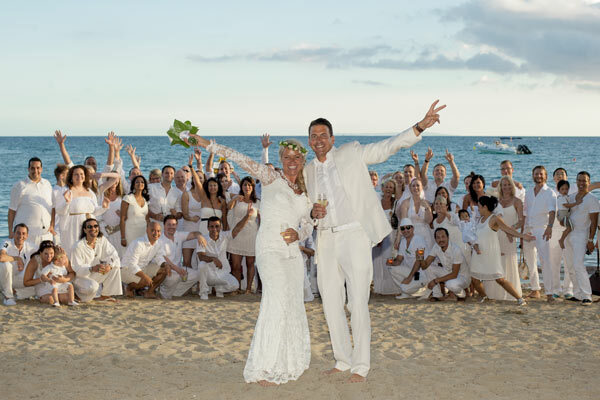 At Ibiza Weddings you have a point of contact from day one, someone who will accompany you through the entire planning and organisation phase and who will take care of everything for you– including any queries your guests may have. Uniqueness merits creativity: this is why we work with you to create a distinct concept for your wedding. We look together at every detail to find the best solution for you– from the location for the ceremony and celebration to decoration, catering, wedding design, entertainment, music, styling and much more. As we live on Ibiza all year round we are constantly discovering brand new and exciting locations and meeting new innovative partners. This is why we are in the very best position to create a wonderful and unique wedding- just for you! 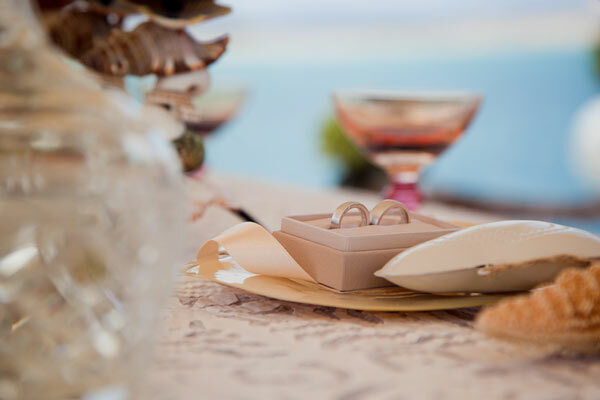 When you choose Ibiza Weddings, you are saying yes to transparent calculations and reliable cost planning from the start. We make all your dreams come true keeping your budget in mind at all times. Working with us you also benefit from the best conditions our long-standing partners have to offer and save yourself time and money travelling back and forth to the island during the planning phase. Of course, we are only too happy to suggest several alternatives for all aspects of your wedding– from wedding design to catering to the entertainment programme. This means you get to choose from the best for your wedding without having to worry about the budget. We are not only service providers but almost your “significant other” when it comes to planning and co-ordinating your wedding celebration. With ten year’s experience in planning weddings, our team knows only too well the hullabaloo involved in organising every wedding. Because, with us, you get all services from a single source, you save yourself all the legwork and nerve-racking co-ordination involved in organising caterers or restaurants, locations and other service providers. We can also provide, at your request, a full guest management service including transport, accommodation, activities and give-aways. We’re not just there for you in the run-up to your wedding and on your big day – we are there for you long before your wedding and for all the post-reception arrangements. Just sit back and relax– with Ibiza Weddings your wedding will be wonderfully stress-free! With a wedding celebration designed just for you, an excellent plan and a well thought out timetable we put your wedding event into a class of its own. Professional planning and co-ordination from a single source ensures that everything runs smoothly on your “big day”. If you do like surprises, you can expect them to be nice surprises. Because, between choosing the flowers together, sampling your wedding menu at your rehearsal dinner and our regular updates you can rest assured that you are up to speed on all the planning details. Of course, your personal planner will also attend your ceremony and reception– not only to help out with queries and last minute requests but also to give reassurance and “hold your hand”. Creative planning, the best organisation and co-ordination with a loving touch: with Ibiza Weddings your wedding is sure to be a truly memorable experience. With our unrivalled all-round service you leave all the planning and organisation in our trusted hands. You tell us what you would like and we present our ideas, locations and carefully selected partners for all aspects of your wedding or anniversary celebration. What sets us apart from other wedding planners: We personally introduce you to all the partners that will be involved in your event. So, with the best team on your side, you can forget those tedious to-do lists and actually look forward to your big day!